I’ve been doing a lot of mix development between Xamarin.Forms and Native Xamarin iOS/Android. 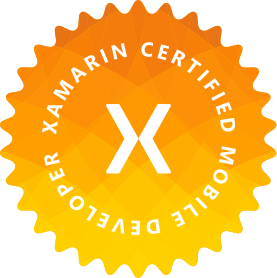 Because of this, we abstract away concepts that can be shared regardless of using Xamarin.Forms or not. One thing I personally like, and use all the time, is Xamarin.Forms Behaviors. I wanted a way to use the same pattern with my native components. I went ahead and created NativeBehaviors. Like mentioned above, we wanted to follow the same style as Xamarin.Forms Behaviors without having a dependency on Xamarin.Forms. You can create a NativeBehavior for any native control, and then handle attaching and detaching the behavior within the lifecycle of your ViewController, Activity, Fragment, etc. This helps us keep our event handling cleaned up in memory while still being useful, easy to follow, re-usable, and flexible. Read below for the documentation on how to build your own NativeBehaviors and start making your controls more flexible! These behaviors are meant to reflect the same use as Xamarin.Forms Behaviors, but require a little more work to manage the lifecycle of events since native views don’t have a collection of Behaviors as a property. /// Text field phone mask behavior. Use the OnCreate and OnDestroy events in your Android Activities.